Lohagarh Fort, the name literally translates to The Iron Fort and there are no prizes for guessing the obvious implications for choosing the particular nomenclature to designate this particular massive fortification. 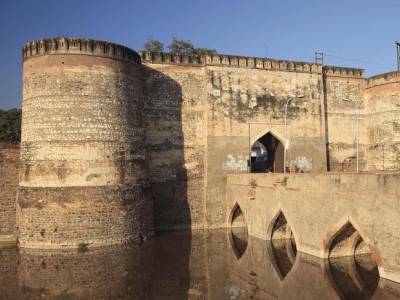 Situated in Bharatpur and amongst one of the many fortresses built by Maharaja Suraj Mal, this fortress proved to be a major thorn in the path of the invading British troops who could not break through despite using cannons and elephants to break the fortress gates. Said to be one of the strongest fortresses in the history of India, the front gate of this fortress is Ashthadhatu, built from an alloy of 8 metals. The back gate is called Chowbhurj and is held by four pillars and hence its name which translates to four pillared gate. 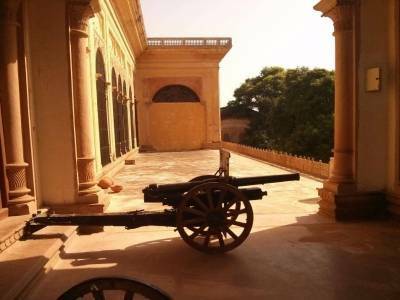 Although the Lohagarh fort may be lacking in extravagance and splendour of other forts in Rajasthan, however its impregnable fortress walls and rock solid gates not budging from position even after the impact of manifold force earned it the name of Lohagarh or the Iron fort. 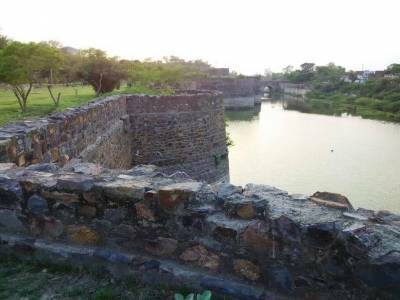 The Lohagarh fort is a living testimony of the times that used to be, the chivalry and might and power of the Jat rulers of Bharatpur. 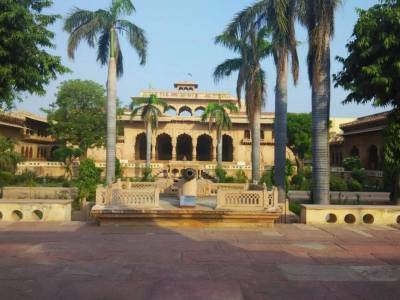 Apart from other fascinating monuments and memorials present inside the fortress premises, Lohagarh Fort also houses two monuments, namely Jawahar Burj and Fateh Burj, built by none other than Maharaja Suraj Mal to celebrate his victories over the invading Mughal and British forces. Both the British and Mughals used all their might to penetrate the fortress and bring down its walls. However, they were thwarted in their efforts and forced to raise siege every time. Undeterred the British made repetitive attempts but every time victory was in favour of Raja Suraj Mal. It was only the feuding Maratha forces who made a pact with Maharaja Suraj Mal after they were thwarted in their efforts and formed an alliance. 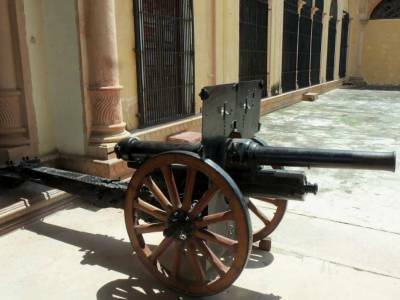 Get quick answers from travelers who visit to Lohagarh Fort.